Chambor truly lasting lipstick: Does it last?? 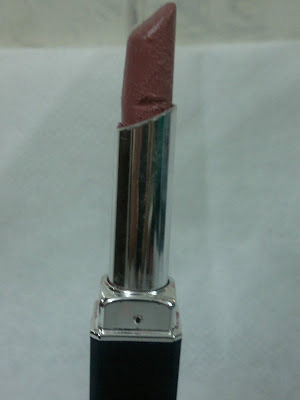 Today I am reviewing the Chambor Truly Lasting Lipstick in Truly Sunset (914). 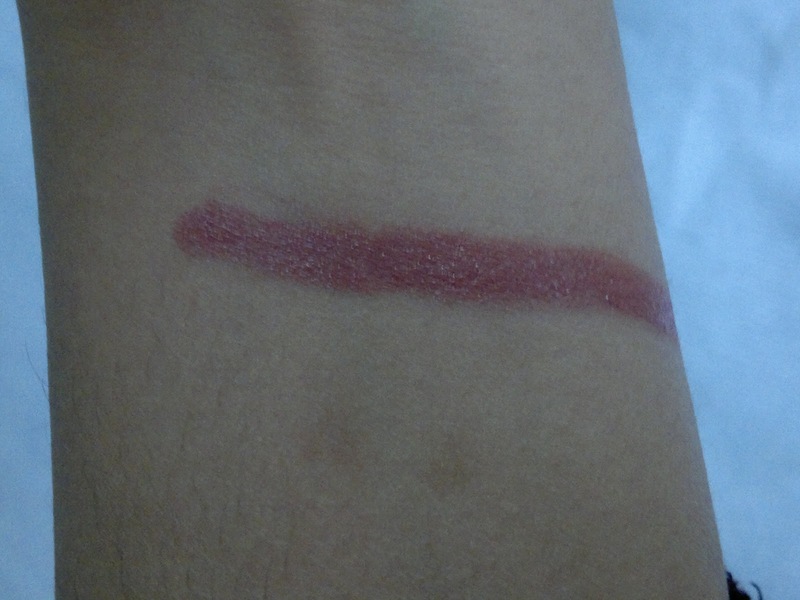 I got this shade (also shown here) after swatching all the shades on the Chambor counter. It was indeed love at first sight. Though the website mentions 21 shades, I found around 10 shades at the Westside counter from where I got this. 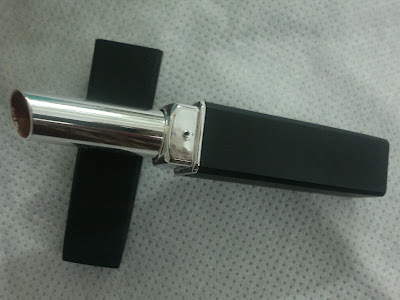 I got this for INR 575 for 1.9 gm of product, which is almost half when compared to the normal lipsticks (4g). Thus it comes out to be quiet expensive. It is packaged beautifully, a rectangular blue case with a silver lining with a silver rose printed on top of the cap. The lipstick is encased as a thin bullet inside the thin cylindrical silver bullet. The texture of the lipstick is super creamy, glides on your lips like a dream. One swipe gives true color on your lips. Moreover, it leaves a cool minty sensation on your lips for quiet some time (around half an hour) after application. The texture and feel is soo smooth that I rarely apply lip balm on my lips if I am using this. Even after the color fades, my lips stay moisturized. Even though it is creamy, doesn't feel very heavy on your lips, and feels similar to the application of a lip balm. Also, since it is super creamy, don't take out complete lipstick bullet for application. As you can see (from the pics) I am halfway through the lipstick. You can probably also see the crack at the bottom of the lipstick. This was a result of lipstick application in hurry, when I had the whole bullet exposed outside the casing. The lipstick just snapped from the bottom. Thankfully, I caught it before it fell to the ground and quickly pressed back and slid it inside the case. Now, I expose a little lipstick bullet for application. So please be careful while using this lipstick. Coming to the staying power of the lippie, it stays on me for 3-4 hours with light snacks and 2 hours with full meal, so is not truly lasting. But I don't mind touchups with this, as it is creamy and minty at the same time, saves me the trouble of applying lip balm underneath. But would have loved it more if it had a little more staying power. I would rate this product as C+. Available on all Chambor counters and online beauty shopping websites also. luks gud on u ..
i have get great collection of lipstick. Its such a pretty shade ! !